A Witch must always protect his or her home. There are many ways to do that, but one of my favorite ways is with a Witch's Ball. Witch Balls are decorative and beautiful. Hang a Witch Ball in the window to protect from negative spirits. They can also be made to attract energies to your home such as peace, love, balance, and harmony. 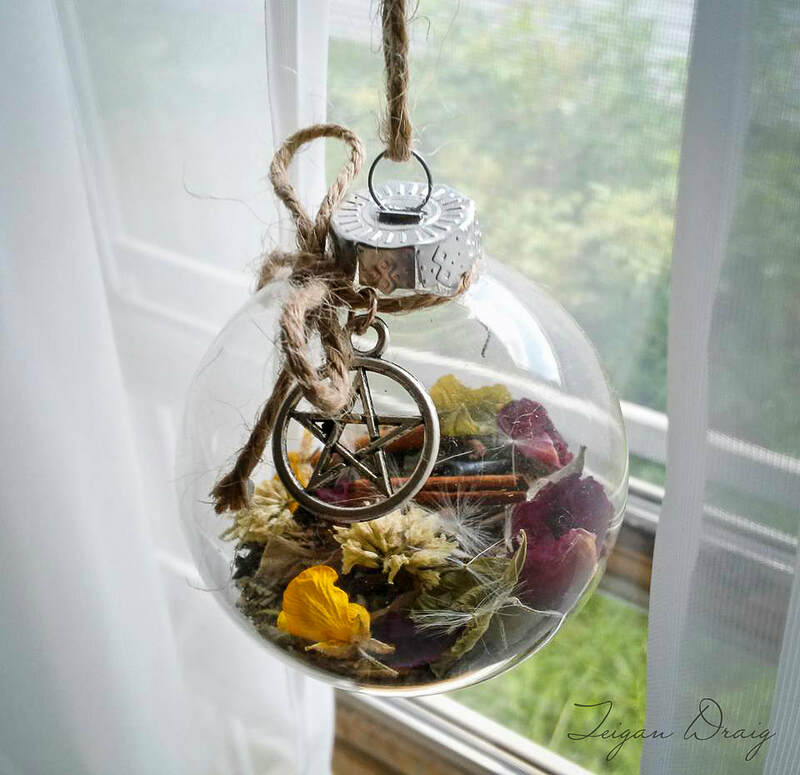 This glass Witch's Ball was designed with intent to draw love, peace, prosperity, luck, harmony, balance, and good fortune to the home while offering protection from negative energies. It is tied with a jute cord bow and pentacle charm. Also makes a wonderful and thoughtful gift for a friend or family member. Made to order. Please allow 3-5 business days in-house turn around time before your item is shipped.